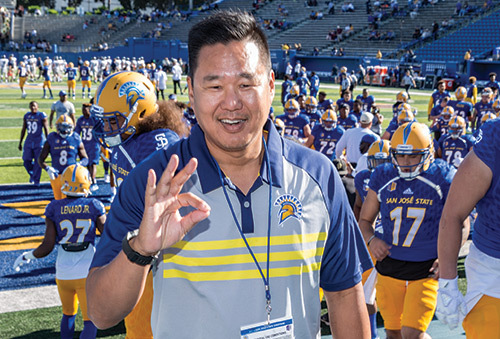 A San Jose State tradition has taken shape, and it’s the shape of a Spartan. 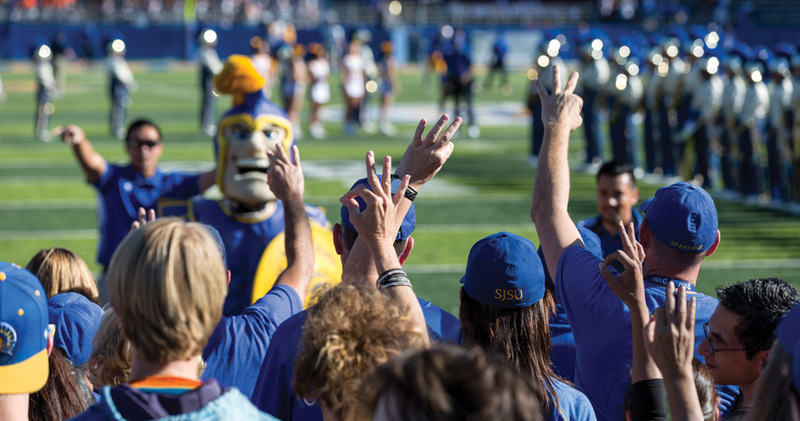 Now seen across campus, from athletic fields to classrooms, the “Spartan up” hand gesture is one more way to share our SJSU pride. On behalf of all Spartans, we thank those who have had a hand in creating it! 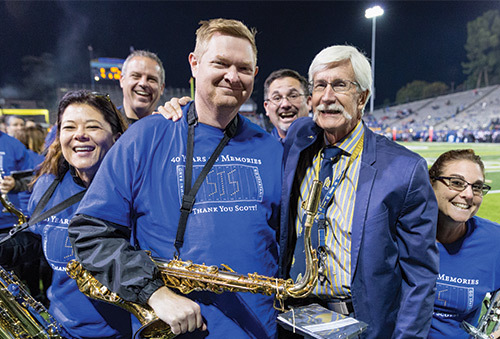 To accompany every football pre-game show, SJSU Marching Band Director Scott Pierson, ’72 Music, ’73 Teaching Credential, arranged the “Procession of the Spartans” in 1990. The song is “loud, in your face—ballsy,” he says, and it begged for audience participation. 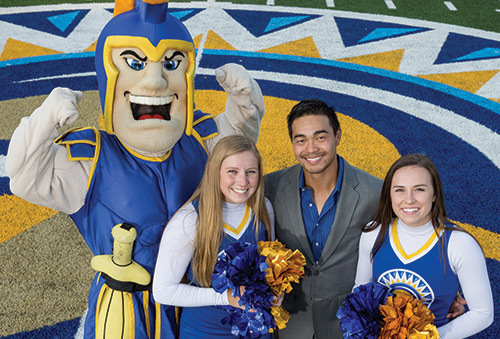 Pierson instructed band members, cheerleaders and fans to create a Spartan head with their fingers, which he sees as a representation of San Jose State. 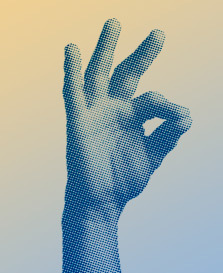 To create a Spartan head with your fingers, form a helmet with your thumb and index finger. Curl remaining three fingers over the top of the helmet, mimicking a feathered plume. Share generously. Previous story Job Maestro: What is Your EQ?